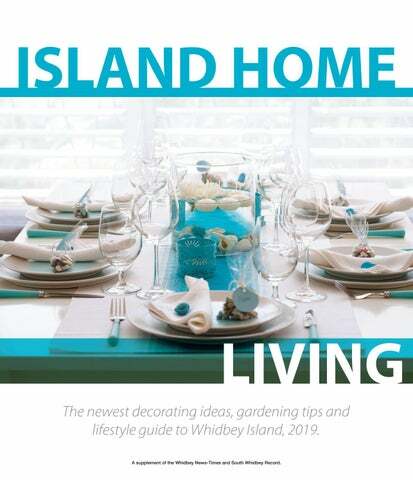 LIVING The newest decorating ideas, gardening tips and lifestyle guide to Whidbey Island, 2019. A supplement of the Whidbey News-Times and South Whidbey Record. DISCOVER THE ISLAND’S BEST CANNABIS Explore our menu, seek guidance from our insightful budtenders, and save with our daily and monthly specials. His passion, however, lies in building rock walls. conditions and stay solid over years of wear and tear, he said. “Rock walls that I’ve built, you could smash a car into, and the car is going to get messed up,” he said. Rejuvenate, Refresh your Home & Garden with Lavender Plants and Home Decor! Rock walls feasible the job is. The more risk, the higher the cost. The type of rock used can be half the cost of the entire project, he said. tionist, flexible, a good teacher, college-educated and a family man. Professionally, his work is classified as dry stone masonry, meaning he doesn’t use mortar to lay the stones together. He’s worked in the business for nearly 20 years and worked for himself since 2005. He’s proud of his excavator that he uses to move heavy items and said it’s like an extension of his hand, complete with a “thumb” for grabbing. Since his company is small, he prefers to work with clients who he can keep in close contact about the progress of the job, he said. “I like working with the customer,” he said. “I enjoy what I do.” n Plagued by blackberry bushes? D’Aignault has some advice to fighting the stubborn plants. First, blackberry bushes need to be dug out by the roots. He uses specialized machines to make sure the deepest roots are pulled out. Then, he suggests putting another type of hearty invasive plant in, such as grass or clover, that will prevent the bushes from returning. He doesn’t use pesticides, due to his concerns about salmon. Be sure to keep mowing over the grass or clover as it grows. Luc d’Aignault sits on a rock wall he built about 10 years ago. The wall is a dry stack, local glacial erratic granite wall, he said. He likes to get his rocks from a variety of places, such as bluegreen ones from Anacortes and the darker “black ace” rocks from south east of Whidbey. His current project on his property uses South Whidbey local granite. His trusty excavator does the heavy lifting as he navigates the controls. More than a community bank. A community oƒ banks. FULL SOUND No matter the size of your home, you can create the ambiance of a concert hall with the latest technology. Even the slimmest electronic pianos today have the potential to retain a sophisticated keyboard touch and authentic timbre of a grand piano. You cut the lawn, pruned the plants and trimmed the trees. You cut the lawn, pruned the plants and trimmed the trees. You cut lawn, the plants and the What you with the waste? You cut the theshould lawn, pruned pruned thedo plants and trimmed trimmed the trees. trees. What should you do with the waste? What What should should you you do do with with the the waste? waste? THE RIGHT LIGHT You can set the right mood for the right occasion in every room of your house by creating programmed scenarios through a smart lighting system. A smart lighting app can also improve home security, making your home looked lived in while you are away. GREATER CLIMATE CONTROL Heading to the airport but forgot to adjust your thermostat? Want your home to be a comfortable temperature when you arrive home from work? Next-generation, smart thermostats offer you the ability to get a better handle on climate control while potentially lowering your utility bills. SMART LOCK Give your neighborhood watch group a deserved break and consider investing in smart lock technology. You’ll be able to control your home’s entry points from anywhere through a compatible app, which will also notify you of possible break-ins and tampering. Whether you have guests staying at your place and need to let them in before you get home, or you forgot to lock your front door before leaving the house, a smart lock can offer you convenience and peace of mind. New technology has the power to make your home safer, more comfortable and better suited to your family’s needs. So, if you’re planning to make some home updates, consider these great ideas for incorporating the latest technologies. Compost it. Recycle it. Chip it. Compost it. Recycle it. Chip it. But please Compost it. Recycledon’t it. Chip Chipburn it. But it. please don’t burn Compost Recycle it. it. it. it. But But please please don’t don’t burn burn it. it. KNOW WHERE YOU CAN BURN OUTDOORS: KNOW YOU CAN BURN OUTDOORS:banned In IslandWHERE County, Washington state permanently In Island residential County, Washington burning yard debrisstate and permanently land-clearingbanned waste in KNOW WHERE YOU CAN BURN OUTDOORS: burning residential yard debris and land-clearing Coupeville, Freeland, Langley and Oak Harbor. waste in KNOW WHERE YOU CAN BURN OUTDOORS: In Island County, Washington permanently Coupeville, Freeland, Langley state and Oak Harbor. banned In Island residential County, Washington burning yard debrisstate and permanently land-clearingbanned waste in PROTECT YOUR HEALTH: burning residential yard debrisand andOak land-clearing Coupeville, Freeland, Langley Harbor. waste in PROTECT YOUR HEALTH: Burning natural vegetation produces pollutants that are Coupeville, Freeland, Langley and OakairHarbor. Burning natural vegetation produces air pollutants that are harmful, especially for children, the elderly and those with PROTECT YOUR HEALTH: harmful, especially for children, the elderly and those with asthma, respiratory illness or heart disease. PROTECT YOUR HEALTH:produces air pollutants that are Burning respiratory natural vegetation asthma, illness or heart disease. Burning vegetation produces air pollutants that are harmful, natural especially for children, the elderly and those with harmful, especially for children, the elderly and those with asthma, respiratory illness or heart For disease. cleaner, healthier alternatives to burning, asthma, respiratory illness or heart disease. For cleaner, healthier alternatives burning, call the Northwest Clean AirtoAgency at call the Northwest Clean Air Agency at nwcleanairwa.gov 360-428-1617 , visit nwcleanair.org For cleaner, healthier alternatives to burning, For cleaner, healthier to burning, ,alternatives visitwaste nwcleanair.org or360-428-1617 call local solid department. callyour the Northwest Clean Air Agency at callyour the Northwest Agency at or call local solid Clean wasteAir department. 360-428-1617, visit nwcleanair.org 360-428-1617 , visit nwcleanair.org Island Home Living or call your local solid waste department. or call your local solid waste department. Live Well! Let the folks at Ace help you! Our basic philosophy at the family-owned Westgate Homes has been constant since the day it opened almost 50 years ago. In our Home Center we can handle any size project from a 907 sq. ft. home to a large 2800 sq. ft. home. We provide land/home packages and have several financing options available including FHA and VA programs. This makes the dream of owning your own home possible for almost everyone. In a very real sense when you invest in a home from Westgate Homes, it is our family doing business with your family. New Westgate Location in Ferndale! can do a similar job but at a heavier environmental price — usually the removal of a top layer of soil — and without the clean up. After clearing, property owners usually have to pay for removal of debris and or burning. The forestry mulching machine requires neither. “You’re getting the best of both worlds,” Bell said. Goats are the super-green method of property clearing, one that many on Whidbey have turned to. But these living, breathing munching machines can’t take down larger trees, and their work takes time. Bell says he can usually clear an acre in about two hours. Bell set up shop in 1994 after a long career in retail sales. He bought the forestry mulching machine about 12 years ago as way to break into the clearing business, but doing it in what he says is a more environmentally friendly way. “It’s really important to me to better Whidbey Island,” he said. Larson said Bell’s work was desirable for several reasons. Saving a layer of top soil and avoiding the need to burn aligns with the trust’s environmental values. Similarly, the machine is small enough that it can avoid native species; Bell took the time to walk through the properties with land trust project leaders to mark plants that should be spared. The result was successful, selective clearing. Larson also noted that blackberries are no fun, not for the organization volunteers who often are tasked with their removal, or herself. It’s tough and grueling working that takes a long time. “They’re kinda the bane of my existence,” Larson said with a chuckle. Along with the forestry mulching machine, Bell also has a flail mower on an excavator that produces a similar result. It’s attached to an extendable arm that can reach places the forestry mulching machine can’t, such as steep inclines or slippery hillsides. Bell’s business is based in Freeland, but he does work all over Whidbey Island. He can be reached at 360-331-6254. Tips and tricks to make your house look put together while expressing personal style. You don’t need to spend a lot of money to make your house look good. A good place to start your home decorating journey might be with the mantra “less is more.” For some people, parting with unnecessary items can be really difficult, Robinson said, but getting rid of extra clutter can bring peace of mind as well as a space that’s easier to clean. A room before and after decluttering and decorating. In the after photo, the room appears bright, spacious and is pleasing to look at. Photos provided by Rebecca Robinson. Still haven’t seen the light? entering a house is lighting, according to Robinson. There is a wide variety of lighting options to brighten up your house, including lamps or expanded natural lighting. But beyond that, there are choices in what tone, brightness level or bulb style, all of which can change the mood of a room. Mirrors are another option to reflect light and make a space appear bigger, Robinson said. Ace is the Place where we’ll treat you right. Sales & Service High Quality Products • Affordable Pricing Delivery • Installation • Haul A Way • Service with a Smile! patch before redoing an entire wall, she said, such as a two-by-two square with the new color. This allows people to see how it looks in all manner of light and test whether the color dries an unexpected shade. “Live with it for at least a couple of days,” Robinson said. with items you cherish and considering how the space makes you feel is important, according to both Robinson and Muncey. Adding in plants can bring in a breath of life and oxygenate your space, Muncey said. Decorators can repurpose cherished items as well. Perhaps you have a driftwood collection that would also make excellent decor. Vases, artwork, pillows, picture frames are all good ways to add in pops of color, Robinson said. Color can draw the eye in and add a touch of personal expression. Knobs and handles can also be swapped out. Decorating can be a fun project that results in a satisfying space to live. Robinson utilized several of her decorating tips here. Whidbey’s Largest Cabinet & Countertop Showroom Downtown on Pioneer Way Whidbey’s Largest Cabinet & Countertop C OME SEEDowntown OUR NEWEST DISPLAYS Showroom on Pioneer Way! COME SEE OUR NEWEST DISPLAYS! NorthWest Cabinets & Countertops: Grow a Row is supported by Island County Public Health and USDA’s Supplemental Nutrition Assistance Program. 1. Whidbey’s largest cabinet and countertop showroom. 5. Over 35 years of kitchen and bath experience. TITLE & ESCROW “Service you deserve with people you trust” We have 5 ofﬁce locations to serve your needs. Serving Island and Skagit Counties. Every year, the North Puget Sound Association of Realtors® honors a select group of outstanding people from the membership and the greater community. We are proud to recognize these leaders for their dedication to their industry and their contributions to the communities they serve, protection of private property rights, education, fundraising and other charitable work. Award of Excellence Recipients The “Award of Excellence” is a service provided to the members of the North Puget Sound Association of REALTORS® for the purpose of honoring members of the Association who have achieved certain and specific high standards of qualification. The “Award of Excellence” is to recognize REALTORS® for their outstanding contributions to the Association and the real estate community. We are making one of your neighbor's trees safer and more beautiful. We are making one of your neighbor's trees safer and more beautiful. Save 10% With this Coupon! Free Consultation! Beautify your home. Safe for future generations. WE ARE(800) HIRING, Call 684-8733 the highest integrity people. 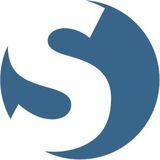 We make our products and services easy to understand and use, making sure technology never distracts from life. Our network and cables are 100% underground giving you unrivaled reliability, even in harsh weather. Our fiber optic internet is powered by The Big Gig. We deliver home and business technology that makes life easier and more enjoyable. Call: 360.321.1122 | Visit: 1651 Main St, Freeland | Info: whidbey.com Live the life. Weâ&#x20AC;&#x2122;ll connect it.